Happy New Year everyone! Lots of big things ahead for Story Circles with 3 Demo Days, the second edition of my first book, and our SXSW Interactive panel in March. It all starts next week at Texas A&M. 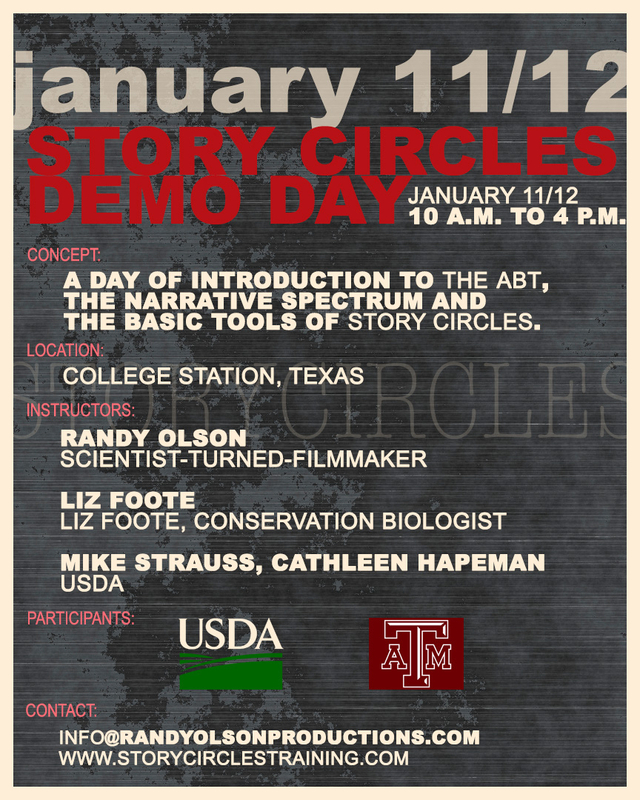 OBSERVERS WELCOME: Next week we’re running back to back Demo Days with Texas A&M faculty and USDA scientists. We always welcome a certain number of observers. If you’re interested, contact us. This will be followed by Demo Days at the Western Sections Meeting of the Wildlife Society in February, our panel at South By Southwest Interactive in Austin in early March, then a Demo Day at University of Idaho in early April. 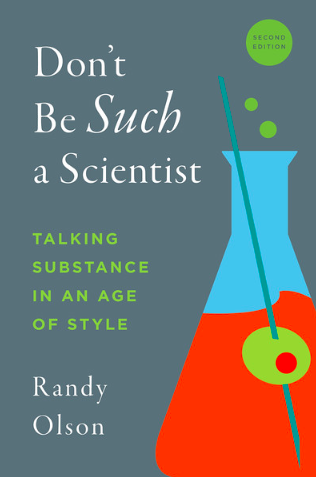 Also on the schedule will be the release in late March of the second edition of “Don’t Be Such A Scientist.” I’ll be starting a series of 10 blogposts here next week presenting much of the new content for the the book. Stay tuned, it’s gonna be a big and exciting year! SECOND EDITION, featuring 50 pages of new content including the new chapter, “Don’t Be Such A Poor Listener,” coming in late March.